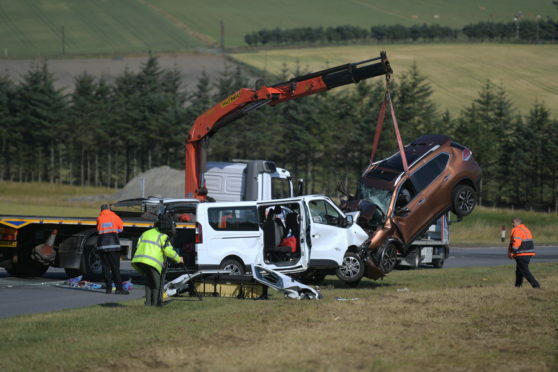 The removal of the two vehicles taking place on the A96. Five people have died as a result of a road collision between a mini-bus and a Nissan 4×4 on the A96. A four-year-old boy and a woman travelling in the mini-bus have died. Three adult passengers in the orange Nissan X-Trail, two women aged 69 and 70 and a 63-year-old man have also died. 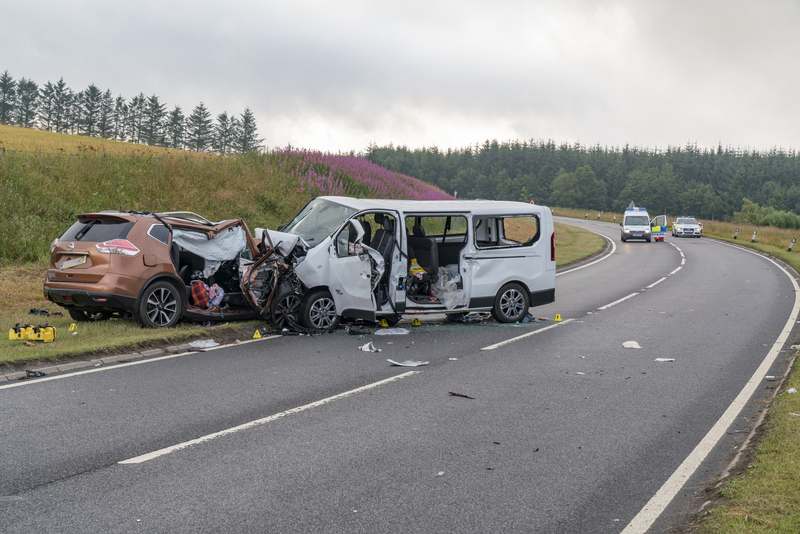 “It is with deep regret that I can confirm that three adult passengers – two women aged 69 and 70 and a 63-year-old man – who were travelling within an orange Nissan X-Trail all sadly died from their injuries. The 39-year-old female driver sustained serious injuries and is being treated at Dr Grays. Everyone in this car was local to this area. “A white Fiat Talento mini-bus which had been carrying Italian tourists was also involved in the collision. Tragically two people who were passengers within this vehicle – a woman and a four-year-old boy – have also died. She added: “The dreadful scene faced by the emergency responders from Police, Fire and Ambulance and the Maritime and Coastguard Agency was both distressing and extremely challenging for everyone involved. “An investigation is ongoing into the exact circumstances so it would wrong for me to speculate further at this time and I am unable to answer questions regarding details of what may have happened. The A96 south of Keith has reopened after last night’s crash between a mini-bus and a Nissan 4×4. One patient was taken directly from scene by the Coastguard helicopter to Raigmore Hospital in Inverness, three patients were transferred to Aberdeen Royal Infirmary, with a further patient taken to Dr Gray’s Hospital in Elgin and a child transferred to Royal Aberdeen Children’s Hospital. Scene of the collision on the A96. 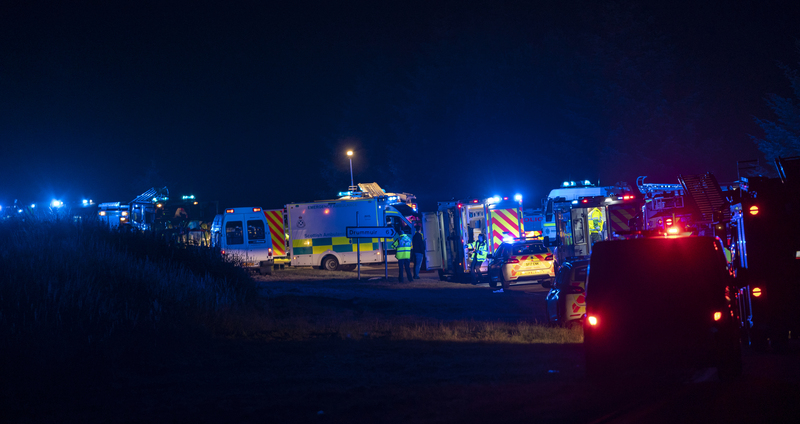 A Scottish Ambulance Service spokesperson said: “We received a call at 11.44pm last night to attend a two-vehicle road traffic collision on the A96 between Huntly and Keith. “We dispatched seven ambulances, one special operations response team, two managers and the Coastguard helicopter to the scene. Our teams worked hard under difficult circumstances to deliver professional clinical care to those in need. The incident, involving the two-vehicles, happened around 11.50pm on the road between Huntly and Keith last night. A further five were also involved in the crash with one person sustaining potentially life-threatening injuries. Sergeant Peter Henderson said: “Motorists are thanked for their patience at this time and we would urge anyone who was in the area last night leading up to the incident at around 11.50pm to please get in touch as our enquiries at the scene continue. Please quote ref. no. 5002 of July 26. The road remains closed with local diversions in place. Motorists travelling northbound at Huntly take the A920 to Dufftown then onto A941 to the A95 at Craigllachie and follow to Keith for the A96. Reverse for southbound. 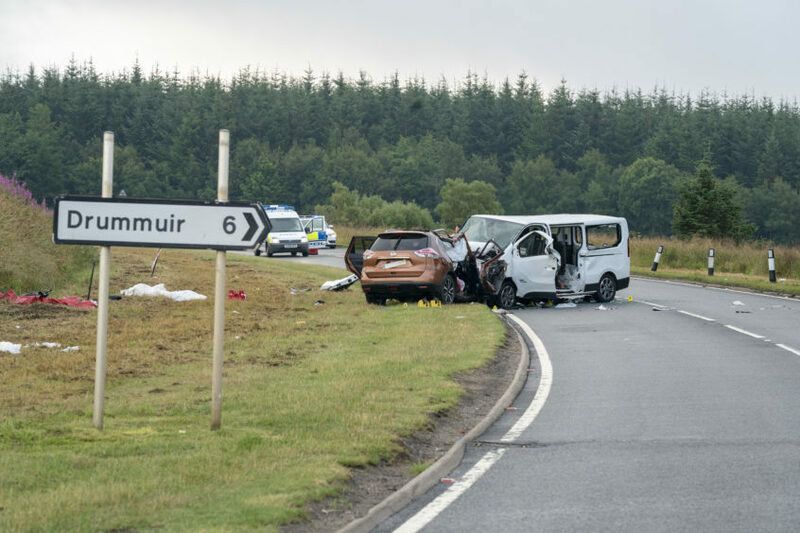 A The Scottish Fire and Rescue Service spokesman said: “Fire crews were alerted at 11.52pm on Thursday, July 26 to reports of a two vehicle road traffic collision in Moray.